The approved development is for a 4–7 storey mixed-use building consisting of 123 residential units and a two-storey commercial building fronting the Hume Highway. 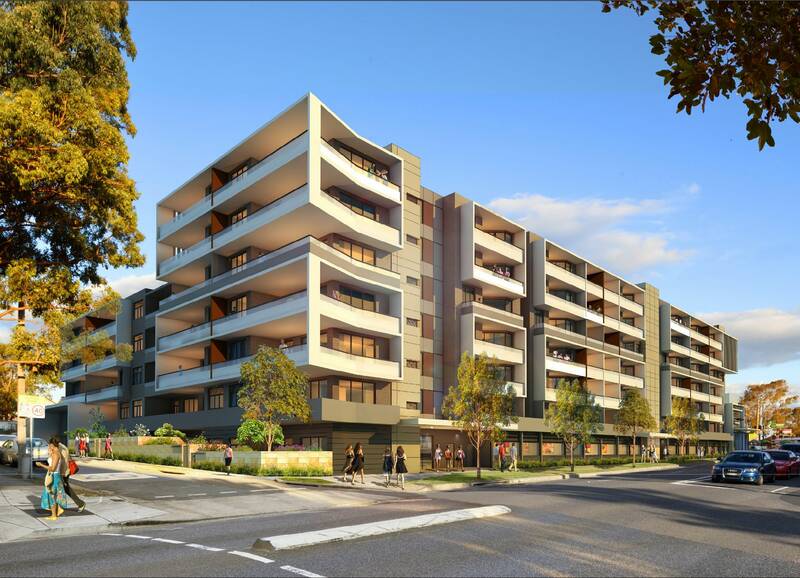 The site is located at the eastern end of the Rookwood Enterprise Zone and is well located in proximity to the Yagoona and Bankstown Centres as well as local residential and mixed-use facilities. The development offers a contemporary design provides significant local commercial opportunities along the Hume Highway while ensuring good amenity for residents. The development has been sensitively design and includes a generous internal communal space and high-quality facilities for residents. Preparation and presentation at the Joint Regional Planning Panel – Sydney West to obtain approval. Image courtesy of Krikis Tayler Architects. Mecone is a leading urban planning, policy and development advisory consultancy with offices in Sydney, Western Sydney, Melbourne and Brisbane. Our consultants have been involved in some of Australia’s largest and well-known projects in recent years across a variety of sectors. Copyright © 2017 Mecone. All Rights Reserved.